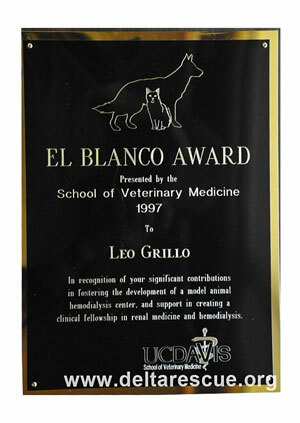 In 1997 Leo Grillo received the EL BLANCO AWARD from UC Davis School of Veterinary Medicine for establishing the worlds first kidney dialysis center for dogs and cats. 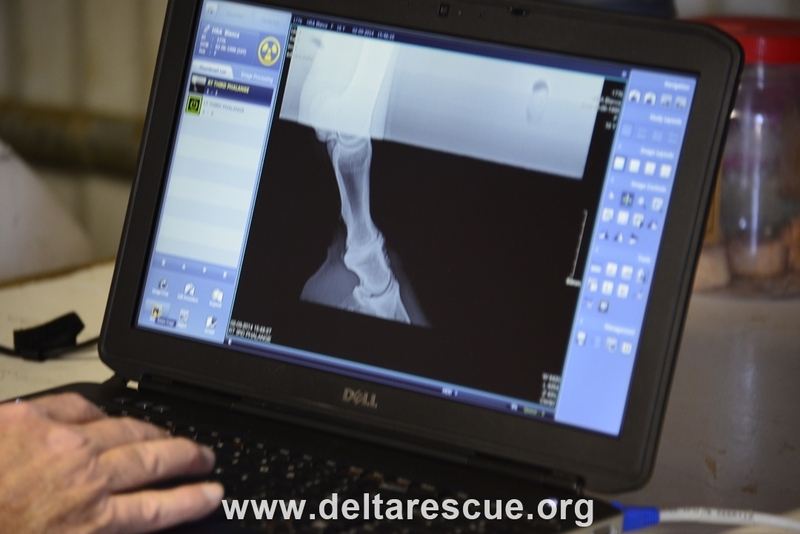 Since then DELTA Rescue and it’s two state-of-the-art hospitals with our veterinarians continue to help animals from around the world. 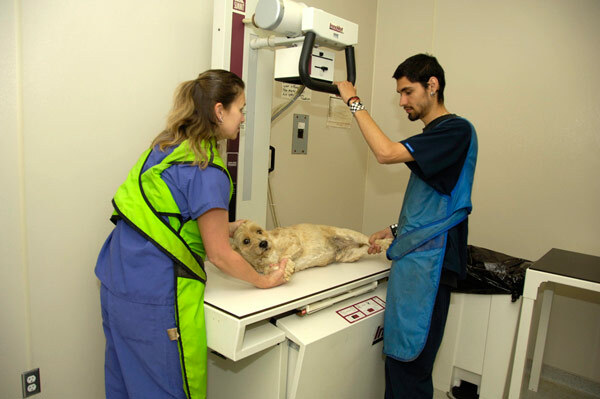 We were one of the first facilities to utilize magnetic resonance, therapeutic ultrasound, and cold laser therapy to treat orthopedic degeneration and injuries. 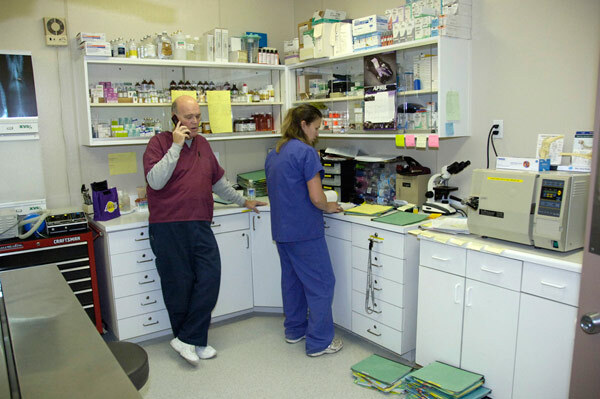 We constantly look for cutting edge treatment modalities to treat our aging population. D.E.L.T.A. 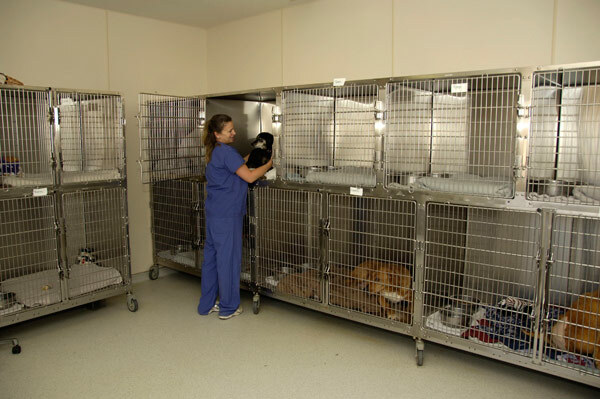 Rescue continues to develop hospice care to assist those animals in humanely passing to the other side. This includes drug therapies and physical therapies to alleviate discomfort. We continue to explore alternative cancer therapies for both palliative and definitive cures. Through our efforts on rescue of dogs from the southern desert we have gained valuable information in the treatment of tick fever. This includes both during the acute phase and management of occult infections. 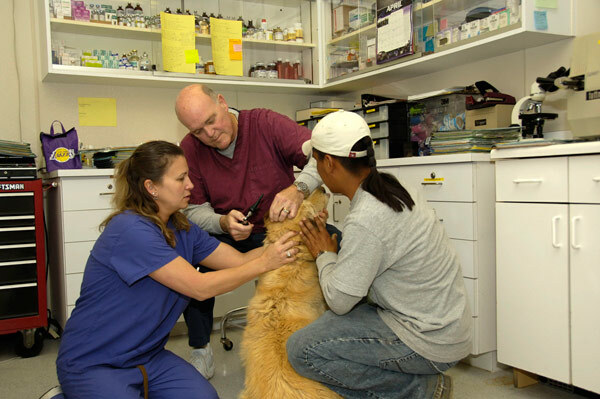 We have also gained information in the management of canine influenza in an isolated population. 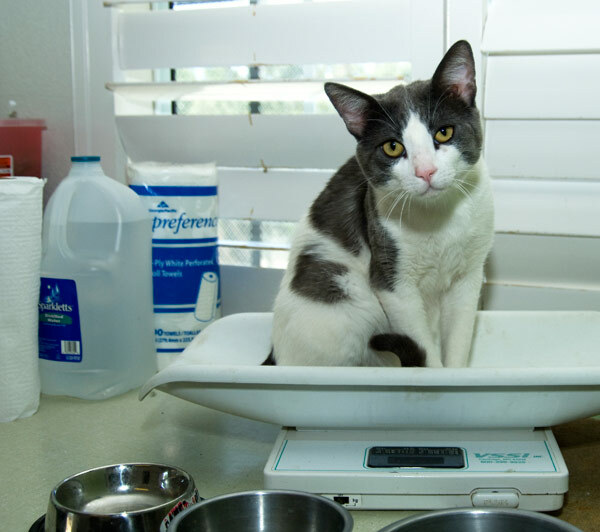 With cats we have learned much about the management of cats with FeLv, FIV, and FIP. Testing positive for these disorders is no longer a death sentence. 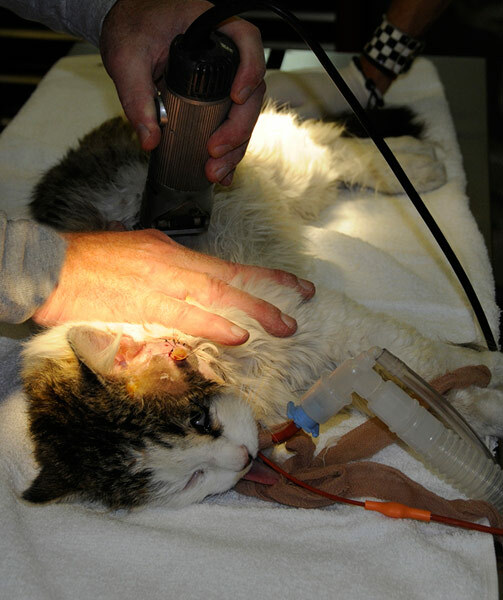 Through the efforts of one of our staff veterinarians there is a pending publication on the safe long term use of corticosteroids in cats. This paper has dispelled some of the myths surrounding using anti-inflammatory doses of this medication. 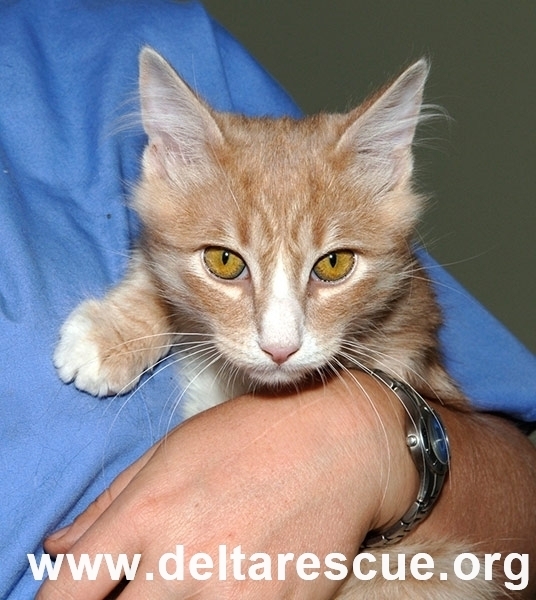 Hercules was abandoned, sick and slowly starving. 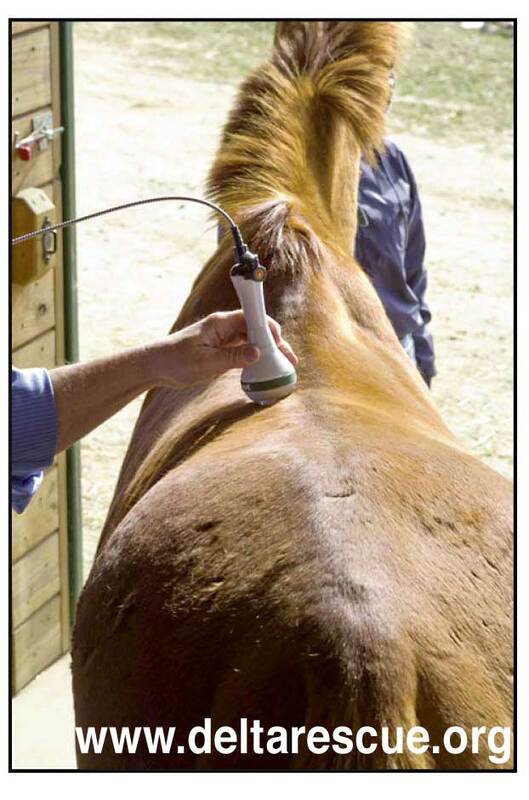 We will continue to search for and implement techniques that will enhance our animal’s quality of life. 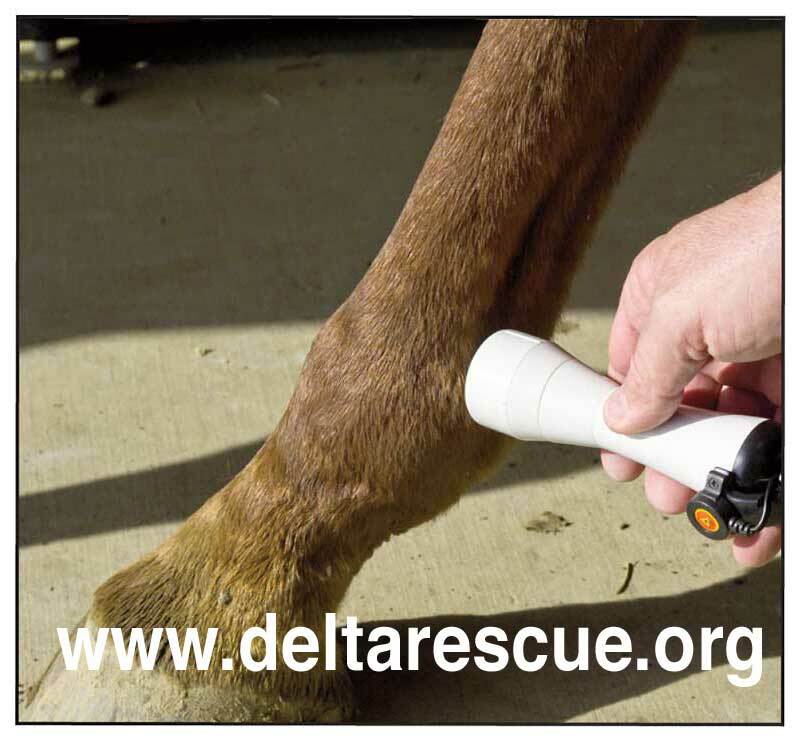 How do/can you keep track of all your animals for needed flea control, rabies, distemper, etc medications? 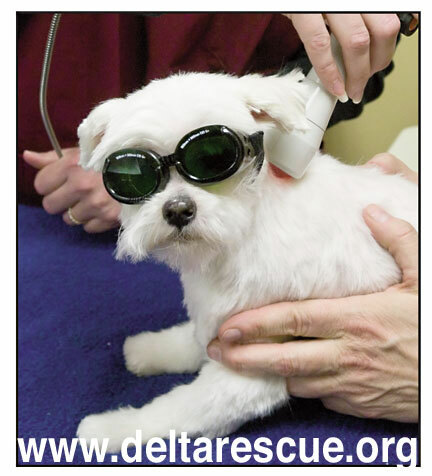 Do you microchip them? My little Merlon Cocker Spaniel (10 years old) had skin cancer and it spread so quickly we had to euthanize him (July 2018) before it spread to his bones, which would have really caused him a lot of needless pain. What do you do in that sort of situation? 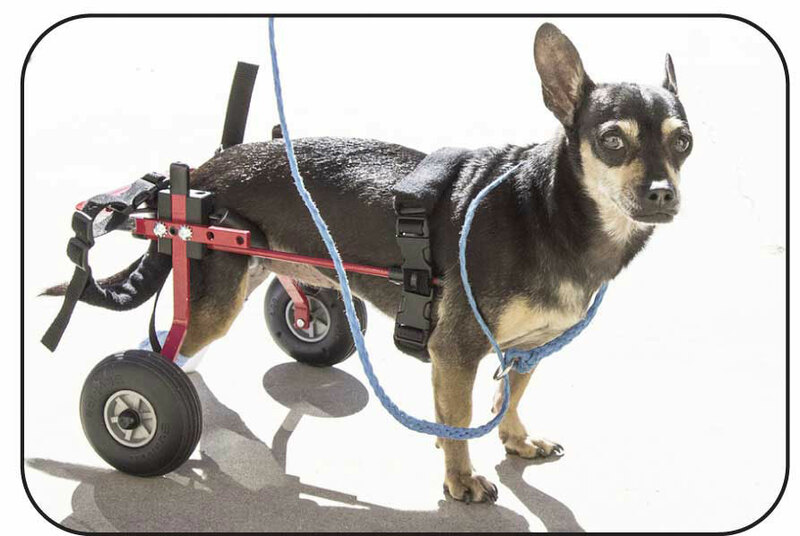 Do you administer expensive chemotherapy with no assurance of any amelioration of it's condition, or do you euthanize it, knowing a cure is hopeless? 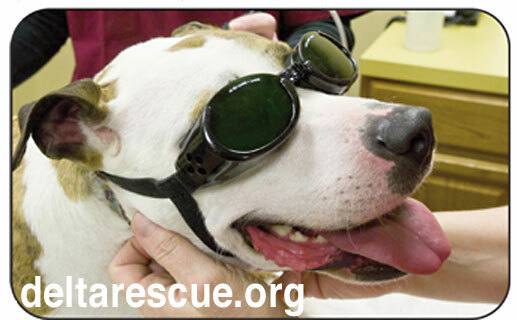 My American bulldog 8 yrs old had passed as he was boarded at my vets ! 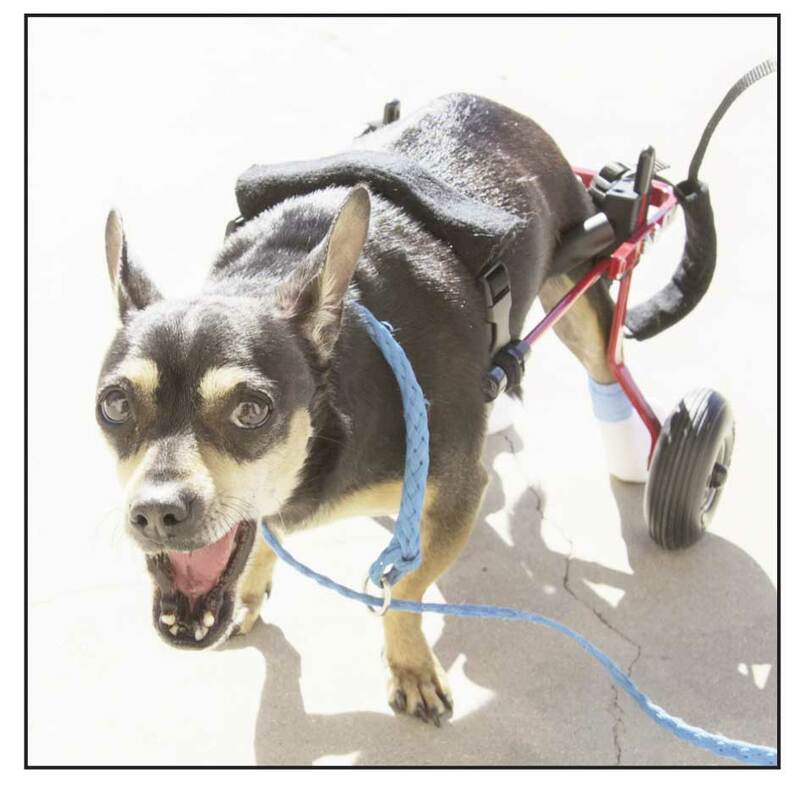 I always boarded him their yearly so I could visit family n he would get all his shots then ! Each time he came out when I pkd him up his head hung down like he was outta it , till he realized he was goin home ! 3 months ago I went to my brothers funeral to come back to the vet calling me n telling me he past away n they didnt know what happened ! I am sooooo heart broken without him !! He's the only dog I made sure was vaccinated! 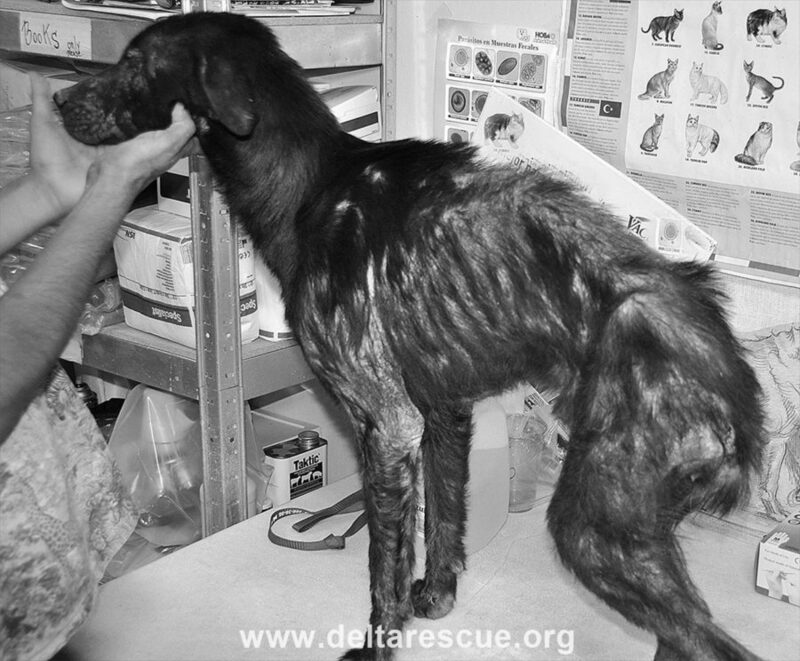 Other dogs I did not vaccinate n they lived a long life! 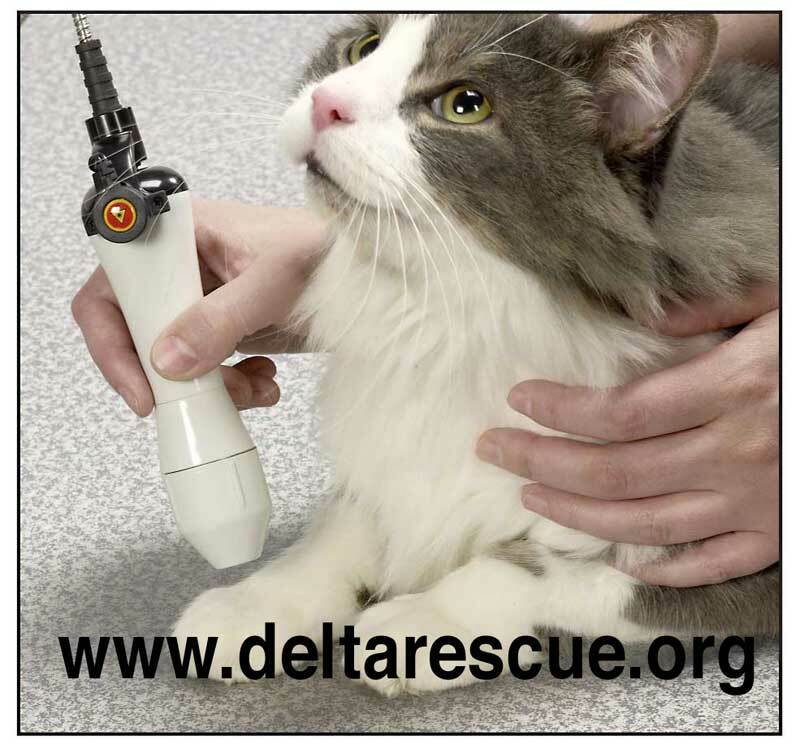 Several years ago Leo wrote in one of his newsletters that cats who have had annual shots for several years (I forget the exact wording here) do not need to continue with them. 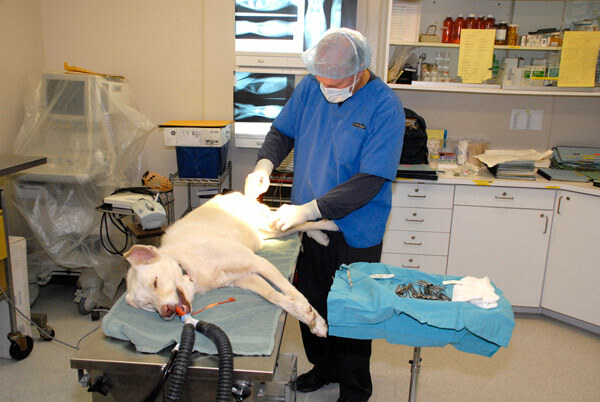 In fact, a visit to the vet can do more harm than good since it is possible for them to pick up a virus while there. 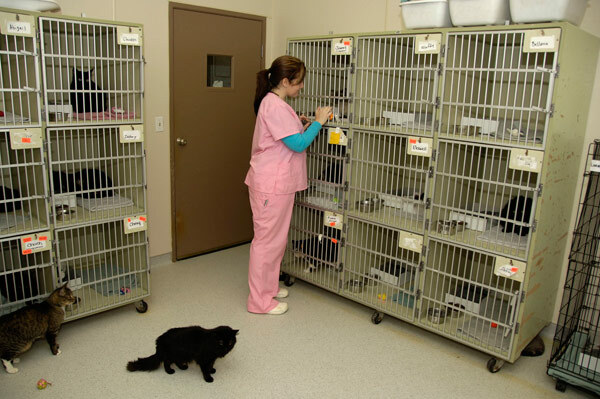 I have not been giving my cats shots and they remain healthy, but I worry that I am doing them some sort of harm, especially since they are indoor/outdoor pets. I'd appreciate your comments. 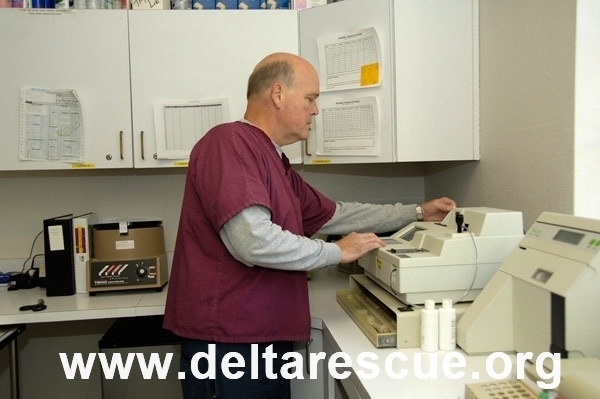 We have rescued many Shelties over the last 20+ years and they have all enjoyed a good life until they reach about 12 - 13 years. We know that at least four of our Shelties have died of cancer: pancreas, prostate, bladder and lung. 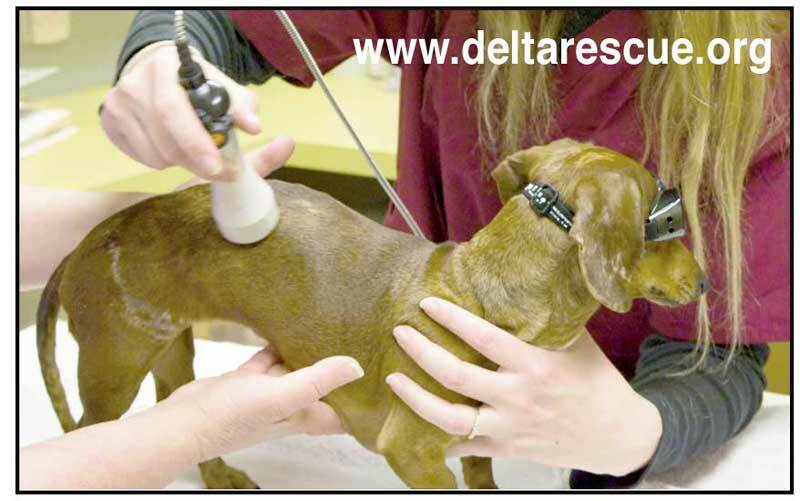 They all have been given premium dog food, regular checkups. 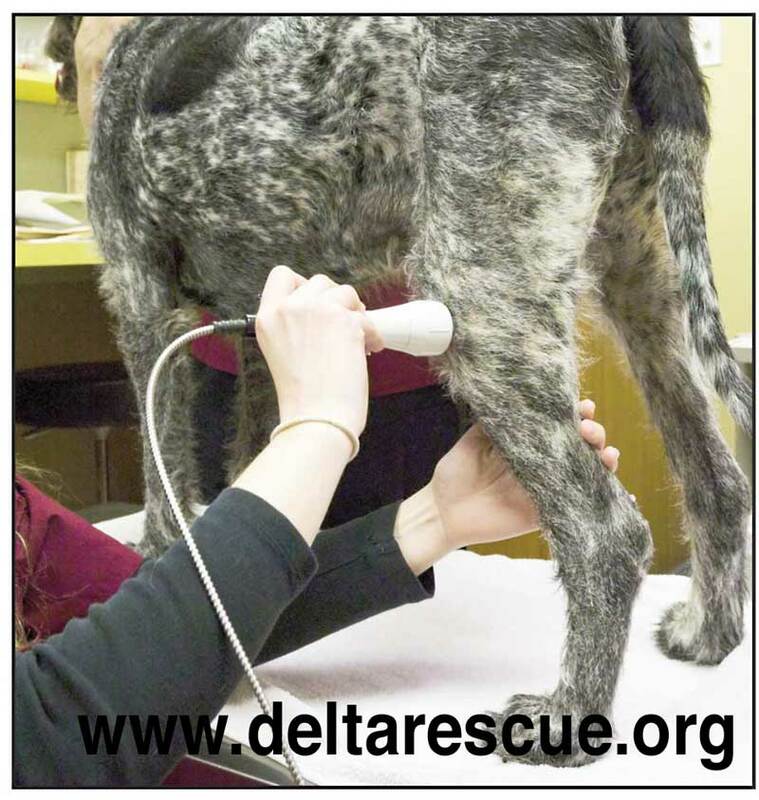 We have read that flea control could be one of the reasons for the cancer or we could be "over" vaccinating our pets. Can you please share your thoughts on this?